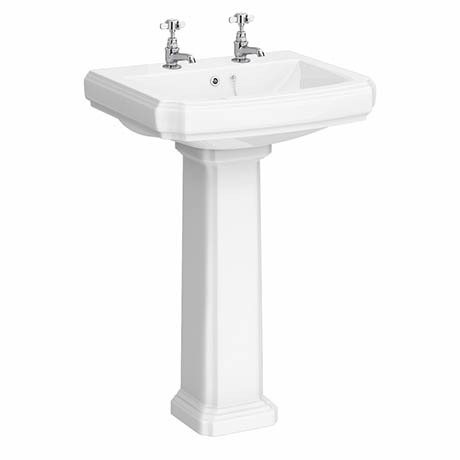 The Alison Cork traditional basin and pedestal is a stylish addition for any classic bathroom. As part of our Victorian Elegance collection, it's perfect for creating a timeless look. Its gloss white finish and bold, elegant lines make it stand out in a bathroom where there are many striking features. Boasting a strong and sturdy design, typical of it's era, it has been manufactured to the highest standards and guaranteed for 10 years.